WLRN's Christine DiMattei talked to Carol Weissert, professor of Political Science at Florida State University and co-author of "Governing Healthcare: The Politics of Health Policy" about the chances of the Sunshine State following the trend. FSU Professor of Political Science Carol Weissert talks with WLRN's Christine DiMattei about the prospects of Medicaid expansion in Florida. 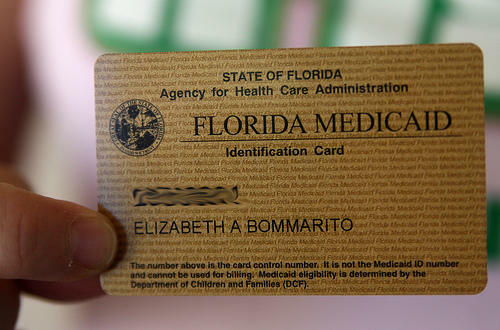 WLRN: Florida's Republican-controlled legislature has shown no interest in expanding Medicaid. What reasons do GOP leaders give for opposing expansion? WEISSERT: There are lots of reasons given. They don't want the federal government coming into the state and providing more services. They don't like to be forced into things by the federal government. There was a concern that maybe the funding would be reduced and in fact, it is --we've waited so long. The original funding was 100 percent and it's dropped a little bit down into the 90s. But there was a concern that if the federal government decides just give up on the program we would be stuck. What's the likelihood that what happened recently in Virginia happens in Florida? Not very great. We have an election coming up for the House and Senate. But I don't think anybody in Florida is really predicting that we're going to have a Democratic House or Democratic Senate at this point. We do have a governor's race -- but even in the governor's race this issue has not been front and center. Andrew Gillum on the Democratic side has been the only one who's really been talking about it. It's part of a long laundry list of things for the other Democratic candidates, but it's just not up there very high. Then how about putting the question to voters? Why didn't supporters of Medicaid expansion craft a voter referendum on the issue? This fall, it looks like there are going to be referendums or initiatives on the ballot in some interesting states like Nebraska Idaho and also Utah. They kind of went around their Republican legislatures to say "We want this." Maine also passed it by initiative. So we are seeing in some strong Republican states the initiative process being used to expand Medicaid. But it's a hard slog in Florida. It's just very expensive to get things on the ballot in Florida and it's very expensive to get things passed. So perhaps the advocates are looking for a little success before they hit the big time.